At around noon on March 20 last year, Air Force One landed at Tel Aviv’s Ben Gurion Airport for Barack Obama’s first presidential visit to Israel. The three-day trip had been billed as an Israeli reset—the newly reelected president’s bid for a clean slate with the Jewish state after four years of icy relations. Obama would lay a wreath at the tomb of Theodor Herzl, the father of Zionism. He would visit the Yad Vashem Holocaust Museum. He would address an auditorium packed with Israeli students. And, of course, he would meet with Israeli Prime Minister Benjamin Netanyahu. Before heading to Netanyahu’s office, however, the presidential motorcade took Obama to see his favorite Israeli: the country’s dovish 89-year-old president, Shimon Peres. As Obama stepped out of his car in front of Peres’s Jerusalem residence, he was greeted with a red carpet, along which a line of children stood waving Israeli and American flags and singing, “Heveinu Shalom Aleichem” (“We Have Brought Peace Upon You”). Inside, at a podium, Obama and Peres praised each other before a swarm of TV cameras. Later, in the presidential garden, they took turns shoveling dirt for a tree planted in Obama’s honor. And in the middle of it all, the two ditched the crowd for a meeting in Peres’s office. Four people joined: two Peres aides, National Security Advisor Tom Donilon, and new Secretary of State John Kerry. Back at Peres’s office, the Israeli president saluted Obama and Kerry for taking on the decades-old conflict. He had known almost every president and secretary of state since John F. Kennedy. And he had seen most of them parachute into the world of Middle East peacemaking, only to walk away frustrated and empty-handed. But he shared Kerry’s sense of urgency—and, strangely, his optimism. He told Obama that Abbas remained “the best peace partner Israel could hope for” and that Israel’s recent elections—which had forced the right-wing Netanyahu into a more centrist coalition—presented an opportunity that shouldn’t be missed. On the night of July 18 last year, after months of talks with John Kerry, Mahmoud Abbas convened a meeting of the Palestinian leadership at his presidential compound in Ramallah (the “muqata”). As the dozens of officials took their seats around a long u-shaped table, beneath a panorama of the Jerusalem skyline, the Palestinian president shuffled his notes and looked out at his comrades, more nervously than usual. He was about to make the toughest sell of his political life. Abbas adjourned the meeting at around 12:30 a.m., without a final decision. As officials were leaving the room, he leaned over to Erekat. “Let’s talk alone in a few minutes,” he said. Erekat then took out his iPhone and called Palestinian intelligence chief Majid Faraj. “Come right away,” he said. Abbas and Erekat walked down the hall to the president’s office and sat in a pair of leather chairs. Abbas looked Erekat in the eye. “You’re against me,” he said. Erekat was taken aback by the comment. “I’m not against you,” he replied. “I just think Netanyahu will take you, Kerry, and everyone else for a ride.” Erekat’s reasons for opposing the talks were partly selfish. As chief negotiator, he would pay the highest political price when the process inevitably collapsed. But he believed (and Faraj, who arrived immediately, agreed) that, if the Palestinians were going to enter futile talks, they should get something tangible to show for it. Together, Erekat and Faraj brought up the Palestinian campaign for U.N. recognition, which Abbas was planning to expand in two months against Israel’s wishes. Kerry had repeatedly pleaded with Abbas not to apply for membership in any new U.N. agencies. “I can’t have negotiations going on with this sword over my neck,” he said. Time and again, the Palestinian leader refused. Having ruled out a third intifada, Abbas believed the United Nations was his only leverage over Israel. Erekat and Faraj agreed. But they suggested that Abbas try trading it for something more valuable: the 104 pre-Oslo prisoners. Abbas initially balked, but after more than an hour of back and forth—it was now nearly two o’clock in the morning—he came around. He reached into his suit pocket and took out one of the index cards that he often carried with him to take notes. He scribbled on it—“104 prisoners for no-UN”—and authorized Erekat to present the offer to Kerry the following morning in Amman. “And tell him to give me that letter,” Abbas added. Ashrawi and the other Palestinian officials went home that night believing that nothing would be decided for a few weeks, at least until they had been asked to vote on a concrete proposal. But at around eight the following night, their phones lit up. “Turn on the television!” one screamed at another. On the screen was John Kerry, announcing the resumption of Israeli-Palestinian negotiations. “We hit the roof,” Ashrawi said. Benjamin Netanyahu and John Kerry first met each other in the mid-’70s, in Boston, when Netanyahu (better known as Bibi) worked there as a management consultant. Years later, during Kerry’s frequent trips to Israel as a senator, the two would typically get together for catch-up dinners; it never seemed to bother them that their politics were so different. “There’s a sense [on Netanyahu’s part] that Kerry has an emotional commitment to Israel,” said Israeli Ambassador to the United States and longtime Bibi confidante Ron Dermer. The morning after the Palestinian leadership meeting, Kerry called his old friend from his suite at the Amman Sheraton. He relayed the previous night’s events, and then Erekat’s offer. Kerry told the prime minister he needed to fly back to Washington that night—his wife, Teresa, was recovering from a medical procedure—so he would need an answer soon. It was clear that, after his five trips over four months, the fate of his initiative rested with Netanyahu. Since reclaiming the premiership in 2009 after a disastrous stint in the 1990s, Netanyahu felt as if nobody had given him proper credit for the risks he had taken for peace. In 2009, he had endorsed the two-state solution in a landmark speech at Israel’s most right-wing university. A few months later, he imposed an unprecedented ten-month settlement moratorium. Now Netanyahu was being asked to free 104 convicted murderers just to sit down with Abbas. And Abbas was being asked to do … what, exactly? When Kerry had first raised the prisoner issue in June, Netanyahu was adamant. “I can’t get that through my Cabinet,” he said. His right-wing Likud Party would never stand for it. Neither would the more hard-line Jewish Home Party. It wasn’t even certain that the coalition’s two centrist parties would. Around that time, Netanyahu had called dovish former intelligence chief Jacob Perry, now a government minister. Though Perry was not opposed to freeing prisoners in principle, he thought that there were fundamental problems with Abbas’s list. More than 20 of the 104 held either Israeli citizenship or residency; were Israel to release them, Perry believed, it would send a dangerous signal. That issue aside, at least ten of the names were immediately deemed “out of the question.” When Perry learned that the list included a militant kingpin he had hunted personally, he lost his temper. “Over my dead body!” he shouted. 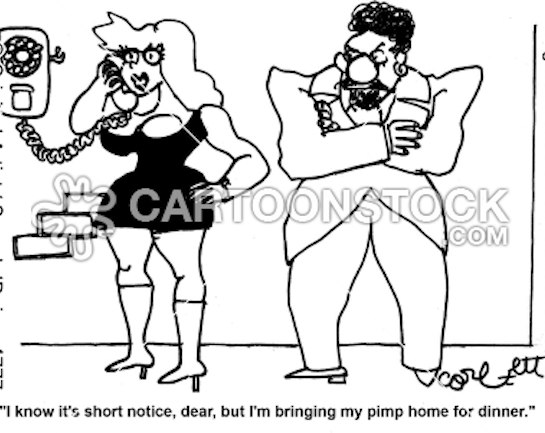 But by the time Netanyahu received the call from Kerry, circumstances had changed. Three days earlier, the Israeli newspaper Ha’aretz had reported that the European Union would soon restrict its institutions from doing business with Israeli entities that operated beyond the 1967 lines. To Netanyahu, the timing couldn’t have been worse. “If I accept Palestinian preconditions now,” he said in a conversation the day of the news, “it will look like I caved into European pressure.” But the premier also believed the new rules were a harbinger of the broader boycotts and sanctions that awaited Israel if it were blamed for blocking new peace talks. After consulting his coalition partners, Netanyahu called Kerry back a few hours later and told him that he could accept the deal—with some conditions. First, the prisoners would need to be released in four tranches over the talks’ nine-month timeline. Netanyahu didn’t want Abbas to pocket the prisoners, then quit the process two months in. Netanyahu also told Kerry he would have to approve some new settlement units to keep his coalition intact. When Kerry asked how many, Netanyahu indicated that it would be more than 2,000.2 Kerry considered this for a moment. Since Obama’s 2009 Cairo speech, the United States had maintained a policy of “not accept[ing] the legitimacy of continued Israeli settlement activity.” But in the context of seeking a conflict-ending deal that would resolve the settlement issue once and for all, adding 2,000-odd units to the more than 100,000 that already existed seemed tolerable. Kerry told Netanyahu that U.S. policy would not change, but that he understood. In his rush to announce the resumption of talks before flying home, though, Kerry left the conversation with two serious misunderstandings that would sow the seeds for later surprises. Netanyahu’s 2,000-plus figure covered only homes that were open for bidding. (In his mind, long-term building plans were a different story.) Nor did it include East Jerusalem, a part of the West Bank that Israel considered sovereign territory. Focused on the big picture, Kerry hadn’t asked for such clarifications. The following nine days leading up to the Cabinet vote on the prisoners were hectic for Bibi. He needled undecided Likud ministers and wrote a public letter to the Israeli people asking for their support. His team was also busy renegotiating with Kerry’s team to paper over their misunderstanding. (The Israelis decided that the fourth tranche of prisoners, which included all the Israeli Arabs, would require a separate vote.) The night before the Cabinet meeting, passage was still in doubt, but after an emotional debate on July 28, the measure passed 13 to seven. In the opposition, some left-wing Knesset members (MKs) who believed Netanyahu would never make peace began to question whether he had changed. “I take my hat off to you as a leader,” one dovish MK wrote to him in a personal letter. Against all odds, Kerry had managed to strike two separate deals with Abbas and Netanyahu. He now had nine months to get them to make one with each other. Two days after the Israeli Cabinet vote, Tzipi Livni walked into the White House. It wasn’t her first visit. As Israel’s foreign minister from 2006 to 2009, she had been a Bush administration favorite. Here, as Israel’s chief negotiator, she looked around the Oval Office and saw a new set of faces: Obama, Kerry, Joe Biden, National Security Advisor Susan Rice, Martin Indyk (Kerry’s envoy to the talks), and the three other members of the Israeli and Palestinian negotiating teams. Months earlier, Livni had campaigned on the idea that Israeli-Palestinian peace was possible; voters awarded her with a seventh-place finish. Now she was getting the chance to prove them wrong. Of all the Palestinian negotiators, few had gotten along better with Livni than the one who now sat opposite her: Erekat. “I have no doubt that, if you put Tzipi and Saeb in a room alone, you will have a deal in two weeks,” said a senior Israeli minister. Of course, they would not be alone. At every step in the process, Erekat would be joined by an ambitious Fatah apparatchik named Mohammed Shtayyeh, and often by Faraj, the intelligence chief, as well. Livni would be negotiating under the watchful eye of Netanyahu’s personal attorney, Itzik Molho. The first negotiating session took place two weeks later at a Jerusalem think tank. Erekat arrived by cab—Israeli security wouldn’t let him drive himself—and the squabbling began almost immediately. The Israeli team had brought a camera crew to film the negotiators shaking hands. But Shtayyeh refused to participate in the spectacle. When Erekat suggested to Livni that the handshake be between just them—the delegation heads—Molho protested that he needed to be included. Still, both sides walked away from the meeting satisfied: Livni and Molho because the Palestinians had reaffirmed their desire to end the conflict, Erekat and Shtayyeh because the Israelis had agreed that all issues would be on the table. “It was very professional,” said Shtayyeh. The weekly meetings, conducted in English, were tense at times, but lighthearted at others. During one session at Erekat’s house in Jericho, when the sides discussed the Jordan Valley area, Livni quipped that, due to a series of recent earthquakes in Israel, there was no point debating the issue because future tremors would redraw the map anyway. The Israeli team, for its part, was deeply divided, with Livni keen to discuss details and Molho filibustering over procedural matters. Molho—whom some of the Americans dubbed “Dr. No”—was particularly insistent that Israel never place any map on the table until the security conditions that would govern a Palestinian state were agreed upon. At one meeting, after he went to the bathroom, Indyk pulled out a map of Israeli settlements to facilitate a discussion about borders. When Molho returned, he became visibly unnerved, trying to figure out what Livni had said in his absence. “I go to the bathroom for five minutes and there are suddenly maps?” he groused. Erekat rolled his eyes. “God forbid she might strike a deal,” he said later. To satisfy his curiosity, Kerry invited Netanyahu for a tête-à-tête in Rome at the residence of the American ambassador, Kerry’s old Yale roommate. The meeting was called for October 23, two days after Netanyahu’s sixty-fourth birthday, and only a handful of senior officials on each side were allowed to attend. After arriving at the palatial château in the afternoon, Kerry and Netanyahu went out to a bench in the outdoor atrium so the prime minister could smoke a cigar while they talked. At different points over the coming hours, various aides would be called in for discussions of discrete issues. At one point, the Americans brought out a birthday cake and everyone sang “Happy Birthday” to Bibi. But for six of the seven hours, the meeting was “four eyes,” leaving the aides with nothing to do but drink vast quantities of Diet Coke and putter around. 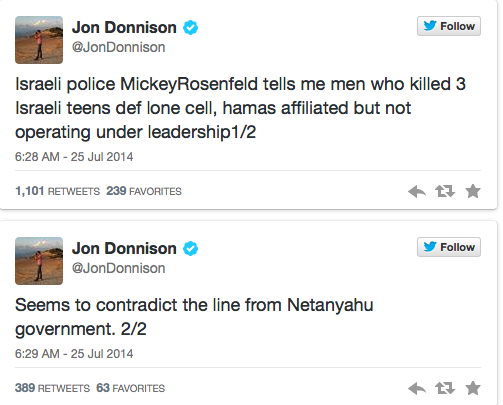 Two officials, an American and an Israeli, tweeted out a double selfie. Frank Lowenstein, a senior Kerry aide, kept looking at his watch as the hours passed. What on Earth are they talking about? he wondered.But when Kerry emerged and took his aides to dinner, he spoke only in generalities. He then navigated the alleys of Rome on the way to his favorite gelato establishment. Two weeks later, the Israeli and Palestinian negotiators met at a hotel west of Jerusalem. Both sides showed up angry. Erekat and Shtayyeh were steaming at new Israeli settlement plans that had been announced immediately after the second prisoner release days earlier, and at Netanyahu’s (false) claim in an interview that Abbas had accepted the new building in return for the prisoners. Meanwhile, Livni and Molho, who had adhered rigorously to Kerry’s gag order on the talks, were incensed by a slew of Palestinian news stories that they believed their counterparts had leaked. Both sides, excepting Molho, were frustrated at the lack of progress they’d made over three months. And the claustrophobic setting—a small bedroom that had been converted into a conference room—didn’t help to calm nerves. “What we agreed on was prisoners for no-U.N., not prisoners for settlements,” he barked. “Stop shouting,” Livni said. “You’re being unfair.” But Erekat kept yelling that the settlements were making him a pariah among his people. Barack Obama gets a high-profile tour of the Yad Vashem Holocaust Museum in Jerusalem this March. It was a refrain Indyk had grown accustomed to hearing. “I can tell you that he’s changing,” he said. “He’s moving.” After a few minutes, Indyk and the Palestinians returned to the room, and the meeting resumed, awkwardly. When they parted after three hours, the negotiators shook hands, as they had always done. But it was clear something had changed. That night, Erekat and Shtayyeh presented a joint letter of resignation to Abbas, while Livni called her top aides to vent. “I was one hundred percent sure it was over,” said one. A few days after the shouting match, Kerry came to see Netanyahu at his office in Jerusalem. The Israeli premier was feeling alone, angry, and besieged. Tea Party types were continuing their slow-motion takeover of the Likud, weakening his position domestically. Even worse, the Iranians were on the cusp of a nuclear agreement with the world powers that would give them sanctions relief without requiring them to dismantle a single centrifuge (“the deal of the century,” Netanyahu called it). And then there was Kerry, who had the gall days earlier to suggest in an interview that Israel risked a third intifada if the peace process fell apart. The prime minister opened the meeting by playing Kerry a video on one of his favorite topics: Palestinian incitement. It showed Palestinian children in Gaza being taught to glorify martyrdom and seek Israel’s destruction. “This is the true obstacle to peace,” Netanyahu told Kerry. “This has nothing to do with the occupation and the settlements,” Netanyahu said. By that time, it was becoming clear that a comprehensive peace treaty would be impossible before the talks’ April 29 deadline. But Kerry had a backup plan. He would get the sides to accept a U.S. “framework for negotiations”—a document spelling out parameters on all core issues—then push for a full deal with a new deadline. The good news was that, after previous rounds of talks and model treaties like the 2003 Geneva Initiative, the principles of any plausible Israeli-Palestinian deal—a demilitarized Palestinian state, borders based on the 1967 lines, a shared Jerusalem, and no mass return of Palestinian refugees to Israel—were known.3 The bad news was that neither leader supported them all publicly, and Netanyahu had built his political career opposing many of them. To assuage Bibi, Kerry decided to begin the framework talks on security. If the United States could put together a package that would satisfy Netanyahu on his flagship issue, the reasoning went, it might compel him to show flexibility on the others. To this end, Kerry recruited John Allen, a former commander of U.S. forces in Afghanistan, to craft a plan that would guarantee Israel’s security after a peace deal. Much of Allen’s work would revolve around the contentious Jordan Valley, the swath of West Bank land abutting Jordan. Netanyahu wanted to keep a long-term Israeli force there to prevent the smuggling of terrorists and weapons, while Abbas was demanding a full Israeli withdrawal within three years. In freewheeling sessions at Jerusalem’s David Citadel Hotel, overlooking the basilicas of the Old City’s Christian quarter, Kerry would take off his jacket and challenge his team to brainstorm ideas that could square the two sides’ needs. 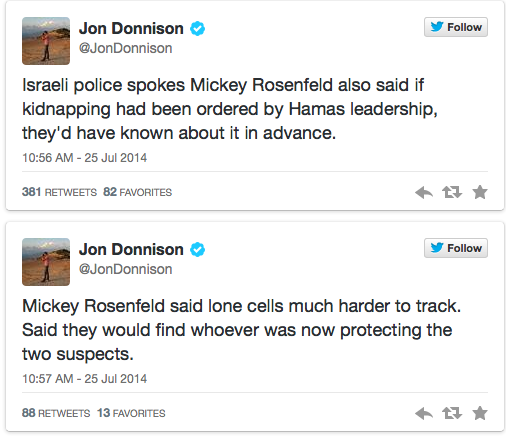 (The Kerry team spoke more carefully over cell phones, believing the Israelis might be listening.) “Guys,” Kerry said, “Bibi has said a million times that he’s not going to accept an international force. So we need to think creatively.” One person noted that Abbas was open to an American force. “No,” Kerry said, “Bibi will say that he doesn’t want American guys getting shot at defending Israel.” Every conceivable idea was discussed, and Kerry—a former college debate champion—raised every conceivable Netanyahu objection. In early December, Kerry presented Allen’s proposals to the Israelis. While they sidestepped the question of when Israeli forces would leave the Jordan Valley, they sketched out what the area—and the rest of the West Bank—might look like after they did. The future Palestinian-Jordanian border would include new early warning infrastructure, an invisible Israeli presence (via cameras) at border crossings, and top-shelf American gadgetry. Livni liked the package. So did most of Israel’s security brass. Even hard-line Foreign Minister Avigdor Lieberman was making conciliatory noises. “Israel will not get more than it is getting from Kerry,” he said publicly. Netanyahu saw it as a basis for discussion. Netanyahu’s hawkish defense minister—Likud’s Moshe Ya’alon—thought it was worthless. “The Americans think we are natives who will be impressed with their technology,” he told one confidant. “Don’t they know that we are the masters of technology?” Unfortunately for everyone involved, it was impossible to imagine the Israeli government approving any deal without Ya’alon’s support. Kerry with the dueling negotiators, Tzipi Livni and Saeb Erekat, right behind him. As Netanyahu kept one eye on his negotiations with the Americans during December and January, he was keeping another on his coalition. Right-wing parties had toppled his first government in 1999 over his actions in the peace process, and he wasn’t eager to relive the experience. The primary source of Netanyahu’s heartburn was Naftali Bennett, the ambitious leader of the Jewish Home Party. In 2006, when Netanyahu was the leader of the opposition, Bennett began working as Netanyahu’s chief of staff, only to be fired after repeatedly clashing with Bibi’s wife. Now, Bennett was acting like the coalition partner from hell. Whatever Netanyahu said or did, Bennett—determined to supplant the prime minister as leader of the right—would try painting it as further evidence that he had abandoned his values. “Two thousand years of longing for the Land of Israel did not pass so we could live under the rule of Abu Mazen,” he declared. The comment went unanswered, and the next day, aboard a plane bound for a Holocaust ceremony in Poland with other Israeli MKs, Bennett and his allies traded wisecracks about Netanyahu, riffing on how they had spooked the prime minister into silence. “Everyone could hear them,” said one MK. Bennett kept on attacking upon his return from Poland. “You know why Jews can’t live under Palestinian sovereignty?” he said in a speech. “Because they’ll be killed!” The morning after that quip, Housing Minister Uri Ariel—the second-ranking member of Bennett’s bloc—got a call from a senior Netanyahu aide, who asked him to convey a message from the prime minister: Bennett had until ten o’clock on Sunday morning (it was then Wednesday) to apologize for his attacks, or he would be fired. Minutes later, Netanyahu’s ultimatum was Israel’s top news story. While the loss of Jewish Home’s twelve MKs would leave Netanyahu five short of a majority—and therefore at risk of new elections—the prime minister seemed positively blasé. In leaked conversations from that day, officials in his office said they had “other options,” an apparent reference to the 15-MK Labor Party. Swapping Jewish Home for Labor would be an incredible gamble for the notoriously risk-averse prime minister. It would put him at the head of a coalition dominated by doves, who could then bring down his government if he was not flexible in the talks. But if Netanyahu was preparing a coalition shakeup, nobody from his office had informed Labor leader Isaac Herzog. Is Bibi bluffing? Herzog wondered as he read the “other options” quote. He called Aryeh Deri, leader of the ultra-Orthodox Shas Party (Netanyahu’s only other numerical route to a Bennett-less majority). “I haven’t heard from him, either,” Deri said. That day at the Knesset, Livni cornered Herzog in the hall and pressed him to join the government immediately. “We can’t waste any time,” she said. While Livni and Herzog were talking, Bennett walked by. He stopped and looked the two over. “I see you’re already replacing me,” he said. On the hard right, settler leaders and ministers were in a panic—a Palestinian state was about to be born because of a personal feud! Ariel urged Bennett to apologize. “This issue isn’t worth the fight,” he told him. “There are more urgent things to worry about: a settlement freeze, more prisoner releases.” Bennett, realizing that he had gone too far, backtracked that evening. “If the prime minister was hurt, that wasn’t my intention,” he said in a statement. Netanyahu agreed to accept the half-apology and move on, certain that another confrontation was only a matter of time. Netanyahu had not become a peacenik overnight, but he understood that the status quo was not sustainable, that it put Israel in jeopardy of becoming a binational state. So he decided to go along with Kerry—objecting where he could, caving where he had no choice. By the end of January, in regular videoconferences and phone calls, Netanyahu and Kerry had moved well past security and on to borders and other issues. In the event of a framework, the prime minister would be permitted to express general reservations—but not on any particular issue—so he was intent on ensuring that he could live with every clause, however distasteful. Right-wing politicians, who had always been suspicious of Netanyahu, were becoming increasingly paranoid that something was being cooked up behind their backs, and those on the left were starting to express guarded hope. Nobody knew quite what to believe. On other issues, though, Netanyahu was less amenable. Most notably, he rejected any explicit mention of the formula Prime Ministers Barak and Olmert had accepted for Jerusalem (Jewish neighborhoods for Israel; Arab neighborhoods for Palestine) and was prepared to accept only vague wording that spoke of “Palestinian aspirations” for a capital in the holy city. He also considered it essential that Israel be acknowledged as “the nation-state of the Jewish people,” a phrase the Americans inserted into the document against Abbas’s strong objections (while clarifying that such recognition not abridge the rights of Israel’s Arab citizens). Despite Palestinian reservations about some of the evolving document’s language—Indyk was negotiating with Erekat in parallel—Kerry truly believed the gaps could be bridged with creativity and ambiguity. Abbas had always been more wary. From the beginning, he felt as if Kerry was privileging Netanyahu’s needs over his. And the numbers seemed to bear the Palestinian leader out: Kerry had met with Netanyahu nearly twice as often as he had with him. It was not lost on the Palestinians, either, that the secretary’s team—Indyk, Lowenstein, Makovsky, Schwartz, Yaffe, Goldenberg, Blumenfeld—sounded like a Bar Mitzvah guest list. To Abbas, the asymmetry of the diplomatic triangle was best illustrated by a December meeting between him and Kerry at the muqata. The meeting, devoted to security issues, was supposed to have been attended also by General Allen. Kerry showed up without him. When Abbas asked where he was, Kerry apologized and explained that Allen needed to stay in Jerusalem and work more with Netanyahu. Mahmoud Abbas felt his credibility rested on freeing all 104 Palestinian prisoners. Erekat responded that he hadn’t yet been briefed on the meeting, so Kerry offered to get his notes. “I barely said a word, and he started saying, ‘I cannot accept this,’” Kerry grumbled, going through some of Abbas’s red lines. The next month, Abbas led a Palestinian delegation to Washington. At a March 16 lunch at Kerry’s Georgetown home, the secretary asked Abbas if he’d accept delaying the fourth prisoner release by a few days. Kerry was worried that the Israelis were wavering. “No,” Abbas said. “I cannot do this.” Abbas would later describe that moment as a turning point. If the Americans can’t convince Israel to give me 26 prisoners, he thought then, how will they ever get them to give me East Jerusalem? At the meal, Erekat noticed Abbas displaying some of his telltale signs of discomfort. He was crossing his legs, looking over at him every two minutes. The index cards on which he normally took notes had been placed back in his suit pocket. Abbas was no longer interested in what was being said. The next day at the White House, Obama tried his luck with the Palestinian leader. He reviewed the latest American proposals, some of which had been tilted in Abbas’s direction. (The document would now state categorically that there would be a Palestinian capital in Jerusalem.) “Don’t quibble with this detail or that detail,” Obama said. “The occupation will end. You will get a Palestinian state. You will never have an administration as committed to that as this one.” Abbas and Erekat were not impressed. Almost two weeks later, at the Ritz Carlton in Riyadh, Obama, Kerry, and Rice held a series of meetings throughout the day in the president’s suite. With the hopes for a framework all but dead, Kerry’s goal had shifted to merely keeping the talks alive—no easy feat. Abbas was refusing to extend the discussions (or even to consider the U.S. framework proposals) until Kerry assured him that Israel would release the fourth and final tranche of prisoners. Netanyahu said he would only consider doing that if Abbas agreed to extend the talks—and even then, he’d have a hard time getting it through his Cabinet. So Kerry concocted a grand bargain. Under the deal, Israel would release the fourth tranche, free another 400 prisoners of its choosing, and halt all new settlement announcements throughout the West Bank (though not in East Jerusalem). In return, the Palestinians would agree to extend talks for another nine months and Netanyahu would get a prize that Israeli prime ministers had been seeking for decades: the release of convicted Jewish-American spy Jonathan Pollard. Netanyahu was prepared to go along with the deal, and Abbas was signaling that he was, too. There was just one problem: President Obama was against it. Kerry had first proposed using Pollard as a bargaining chip to Obama months earlier. The spy, serving the twenty-seventh year of a life sentence, was fewer than three years away from his parole. Why not get a diplomatic return for him and move the peace process forward while he still has value? Kerry thought. But Obama knew that Pollard was a third rail in the intelligence community; when President Clinton had toyed with a pardon, then–CIA director George Tenet had threatened to resign. Obama wasn’t going to touch the option unless it facilitated a true breakthrough. Kerry was becoming desperate, though. At the Ritz, he explained to Obama and Rice that, without Pollard, the talks were days away from collapse (in part because of his initial miscommunication with Netanyahu). Obama wasn’t pleased. But late at night, after hours of talking, he gave Kerry the go-ahead. “I’m not doing this because I want to, John,” Obama said. “I’m doing this for you. Peres and Abbas planted an olive tree at the Vatican for a peace that seems increasingly distant. Like Kerry, Abbas felt that his credibility was at stake. He had promised the Palestinian people that the prisoners would be released on schedule, on March 29. But as the date approached, that was looking less and less likely. So Abbas continued working with Erekat on what he was calling “the Palestinian nuclear option.” He even put a timer on it: If Israel didn’t vote to release the fourth tranche by seven o’clock on the evening of April 1, Abbas would formally resume the U.N. bid in a grand ceremony at the muqata. The night before that deadline, Kerry was supposed to meet Abbas at nine o’clock in Ramallah, but as of eleven, there was no sign of him. Erekat called the U.S. consul-general, who told him that Kerry was meeting with Netanyahu, and that it was running long. Abbas wanted to sleep, so he dispatched Erekat and Faraj to meet Kerry after midnight in Jerusalem. In his suite at the David Citadel, Kerry promised Erekat that the Israeli government would vote on the fourth prisoner release the following day. Kerry was peeved that Erekat was insisting on a specific hour. “Before noon,” he said. Noon passed without a vote. Then one o’clock, then two, then three. Making matters worse, Israel’s Housing Ministry approved 708 new homes for a disputed neighborhood in East Jerusalem that afternoon. Abbas was nearing the end of his patience. Around seven o’clock, he sat in his office with Erekat and Faraj. “Have you heard any word from the Israelis?” he asked Erekat. “How about you?” he asked Faraj, who gave the same answer. The U.N.-ceremony attendees were taking their seats down the hall. “Let’s give them another half-hour,” he said. “This is our right,” he continued.“All we get from the Israeli government is talk.” As Abbas took out his pen to sign the U.N. conventions, with Erekat at his side, the room gave him a standing ovation. Earlier that afternoon, while Abbas and Erekat were watching the clock at the muqata, Netanyahu sat in his office, taking meeting after meeting. First, he would invite in Livni and Kerry’s team to discuss the coalescing Pollard-for-prisoners-for-talks deal. Then, he would bring in a group of pro-settler politicians led by Housing Minister Uri Ariel to calm their nerves about the impending settlement freeze. Wow, Ariel thought each time he passed Livni in the doorway, it’s like we’re doing shifts. The Israeli right was also in rebellion mode, with Likud officials vowing to resign and Bennett again threatening to leave the government if the fourth tranche was released. As Netanyahu pressed the merits of the extension deal to Ariel and his hard-right allies during one of their shifts, one of his aides entered the room: “Mr. Prime Minister, Abu Mazen has just signed fifteen U.N. conventions.” Netanyahu froze. For years, he had feared that the Palestinians might join the International Criminal Court and lodge war-crimes charges against Israeli officials. “Which conventions?” he asked. After several minutes of confusion, one of the people in the room managed to locate a list. Chuckling, he told the others that the Palestinians—the Palestinians—had signed the anti-corruption charter. The room burst into laughter. Over the next three weeks, with April 29 approaching, Indyk would meet nine times with Livni, Molho, Erekat, and Faraj in a bid to salvage the peace talks. He was determined to get everything in writing this time. No more misunderstandings. And by April 23, the sides seemed close to an extension agreement. Indyk drove to Ben Gurion Airport that day to pick up his wife, and while at the baggage claim, he got a call from Livni. She’d heard that the Palestinians had just done something to ruin all the progress they had made. Indyk immediately phoned Erekat, who said he wasn’t aware of the development, but would investigate. Back at the U.S. consulate, the Kerry team was combing over the details of the emerging deal, with the secretary calling periodically to check in. Soon, the news penetrated their office, too. Weeks earlier, they had been surprised by the timing of Abu Mazen’s U.N. ceremony, but not by the act. The Palestinians had put them on notice. But as the American officials huddled around a desktop computer, hungry for actual details about this rumor they were hearing, they couldn’t believe the headline that now flashed across the screen: FATAH, HAMAS END YEARS OF DIVISON, AGREE TO UNITY GOVERNMENT.The next day, the Israeli Cabinet had voted to suspend the talks. John Kerry’s peace process was over. Since the talks collapsed three months ago, Kerry’s warning about a third intifada has looked far more prescient. There was the kidnapping and murder of three Israeli teenagers, followed by the revenge killing of a young Palestinian. Hamas and its allies have fired more than a thousand rockets at Israeli towns and cities, including Tel Aviv. 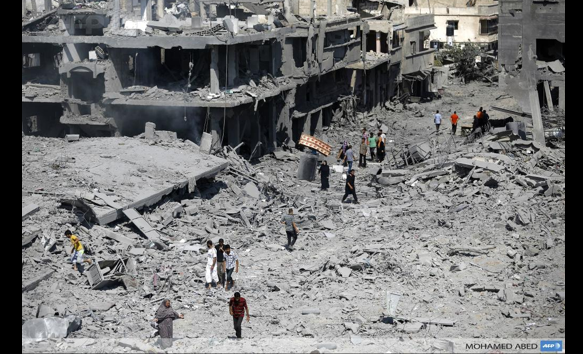 Israeli airstrikes against Hamas targets in Gaza have killed more than 200. Riots have spread from the West Bank to East Jerusalem to Arab towns in Israel’s north. As this magazine went to press, an Egyptian-brokered cease-fire between Israel and Hamas had collapsed, and Israel appeared poised for a ground invasion. Abbas, who joined Peres at a recent Vatican prayer ceremony for Middle East peace—when U.S. diplomacy fails, there’s always God—has also been looking for a dignified exit. 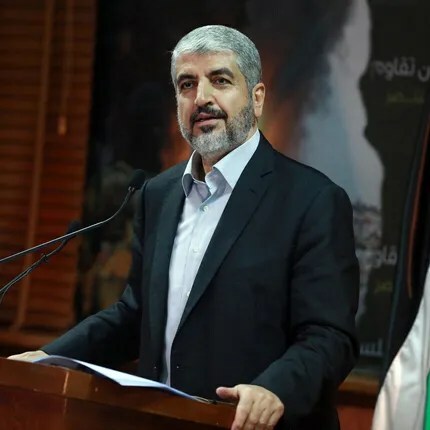 In June, he swore in the new Fatah-Hamas government, which was to serve for a short while until new elections, though the current crisis has put them on hold. Nearly everyone we interviewed felt the same way: that Kerry was absolutely correct to attempt a deal. The outlines were clear; the cost of inaction too great. “I always tell American secretaries of state that you get points for trying,” said Tony Blair, now a Middle East envoy. But they also believed that, for any agreement to be reached in the future, something major, something fundamental would have to change—the leaders, the American approach, the terms of reference, the external pressures. So, what is next? The Palestinians may resume their quest for full-fledged U.N. membership this fall. In Israel, there are almost as many plans as people: Lieberman, the foreign minister, wants his country to make peace directly with the Arab League; Bennett, whose party is now polling just behind Likud, is advocating partial Israeli annexation of the West Bank. Livni has spoken about unilateral steps that would forfeit Israeli claims to West Bank territory outside the settlement blocs and freeze building in those areas. There’s no shortage of ideas, in other words. And some of them—particularly that last—may bring Israelis and Palestinians closer to a deal than Kerry got this time. But few of the people we spoke to expected progress any time soon. With Netanyahu entrenched, Abbas on his way out, settlements and rocket ranges expanding, and the populations increasingly hardline, we seem to have reached the end of an era in the peace process. And no one harbors much hope for what comes next. 1: This story is based on interviews with close to 100 Israelis, Palestinians, Americans, and others who were involved in the talks or the surrounding political context. Every scene was provided or verified by someone who was in the room (and in the vast majority of cases, by multiple such people). Contemporaneous notes and diaries were also used to ensure accuracy. Dialogue has been carefully constructed based on the recollections of the characters; no quote about which there is more than trivial disagreement has been included. 2: Israel indeed announced more than 2,000 new settlement units during the talks, in addition to thousands of long-term building plans. After American officials told the Israeli press that this was the main reason for the talks’ collapse, Netanyahu told Jeffrey Goldberg in an interview that the Americans “knew exactly” how much Israel was going to build in the settlements during the nine-month period of the talks. 3: The Geneva Initiative is a draft for a permanent status agreement between Israel and Palestine, signed in 2003 by prominent politicians, former security officials, authors, and academics on both sides. It is considered to this day to be the most detailed example of what an Israeli-Palestinian peace agreement could look like. Abbas has expressed support for it, while Netanyahu views it as too tilted toward the Palestinians. Ben Birnbaum is a regular contributor to The New Republic. Amir Tibon is the diplomatic reporter for the Israeli news website Walla! In Israel, the prospects for the occupation’s end remain distant. Whatever Israeli prime ministers have said, or polls have shown, the trend over the last 40 years has been rightward—toward a growing Jewish intransigent presence in the West Bank backed by militant right-wing parties and organizations. Every new settler and settlement is a living rejection of Israel’s willingness to abandon the occupation. Israel could well become more like its neighbors—an increasingly authoritarian state ruling over restive minority or eventually majority populations. The Palestinain trajectory is uncertain—toward increasing accomodation or militance. Under continuing occupation, the Palestinians could confirm Israelis’ worst fears. The asymmetry is complicated even further by the status of these civilians. Under such maddening circumstances, are the adults, in a legal and moral sense, actual civilians? To qualify as a civilian one has to do more than simply look the part. How you came to find yourself in such a vulnerable state matters. After all, when everyone is wearing casual street clothing, civilian status is shared widely. The argument is this: Are Gazan civilians really innocent in all of this? After all, they voted for Hamas, didn’t they? Aren’t they therefore responsible for the actions of that government? Do they really have a rightful claim to innocence and the usual civilian immunity from military attack? As usual, I wonder how far people are willing to go with any of these just war arguments. Do these arguments also apply to the West? Is it just to target American civilians in attacks because they elect the government that conducts so many unjust military operations abroad? July 20, 2014 8:30 p.m.
It’s been a little more than two weeks since Abu Khdeir’s kidnapping, and the violence in Gaza has escalated from retribution murders into a military campaign. But in the American press, the human story of the Israel-Palestine conflict — in which more than 500 Palestinians have been killed, and fewer than 30 Israeli soldiers — has stayed, unusually, on the Palestinian side. As the first Israeli mortars began to fall on Gaza, the most arresting and memorable event was the death of four Palestinian preteens killed by fire from Israeli gunboats; moments earlier, the boys had been playing soccer with journalists on the beach. “It looked as if the shells were chasing” the children, one witness told NBC News. By this weekend, with Israeli troops moving through Gaza, the story’s setting had moved, grimly, to Shifa Hospital. There were “lakes of blood,” a Norweigan doctor working there told Channel 4 News in the U.K. NBC broadcasted from the bedside of a man who had lost 20 members of his family. The AP documented the impossibility of medical care under siege; the doctor overseeing Shifa’s three ICU beds had “made a special wire for cardiac pacing from a spliced Ethernet cable.” On social media, images circulated: the dead body of a reporter, the large-print word PRESS on his chest covered with bloodstains, a father carrying his dead daughter’s body, a guided missile slamming into a residential area. “I’ve seen some truly shocking scenes this morning,” tweeted the Guardian‘s man in Gaza, Peter Beaumont, on Saturday. “A man putting the remains of his two year old son into a garbage bag.” 3,000 people retweeted that. 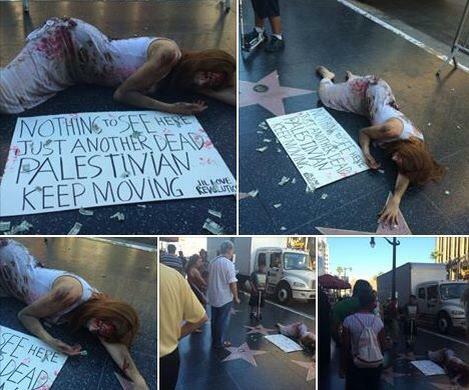 If Netanyahu is so bothered by how dead Palestinians look on television then he should stop killing so many of them. But his complaint is in itself a concession. The story of the conflict between Israel and Palestine looks a little bit different this time around. Social media have helped allow us to see more deeply inside war zones — in this case, inside Gaza — and allowed viewers much fuller access to the terror that grips a population under military attack. America’s changing demographics (the country’s Muslim population has skyrocketed in the past decade and is now as much as half the size of the U.S. Jewish population*) have meant both a more receptive audience for sympathetic stories about Palestinians and more Americans like Abu Khdeir, with connections back to Palestine. The sheer imbalance in the human toll, in the numbers of dead, has been impossible to elide or ignore. None of this is likely to change the politics of America’s relationship with Israel. The U.S.’s support for Israel wasn’t arrived at arbitrarily, and it has withstood some similarly ugly episodes in the past. Palestine is still ruled by ugly politics. But more subtly, I think the way the last two weeks have unfolded in the Western media has made it more difficult for Americans not personally invested in the conflict to simply assume that the Israelis are necessarily right. There is a reason that apolitical celebrities like Dwight Howard and Rihanna were tweeting out messages of support for Palestine. They, like the rest of us, are seeing the Palestinians a little bit less as demogogues and terrorists and a little bit more as they see themselves, as ordinary people living in often impossible circumstances. *The story has been corrected to state that it was police that allegedly beat up Tariq Abu Khdeir; due to an editing error, the story originally said that the U.S. Muslim population was 50 percent larger than the Jewish population. *This post has been updated to reflect the increased death tolls of Palestinians and Israeli soldiers. It’s happening: we are at last seeing significant American mainstream dissent from the Israeli line during this conflict. There is growing space to voice criticism of our closest friend in the Middle East because of what is widely perceived to be a “disaster” unfolding in Gaza (to quote Ali Abunimah). I am saying that this brutal and pointless onslaught is operating on the US mainstream the way that the massacres of Cast Lead operated on the left five years ago: People are saying Enough! They see that Israel has no plan at all besides wrecking Palestinian lives. “The monstrosity that is Israel is naked, for all the world to see,” Scott Roth writes. So even J Street (actually a center-right organization; it supports endless military aide to support apartheid) senses a change in the US climate, and feels safe taking a baby step. More on the shifting climate. If you strangle a people, deny them supply, for years, extreme reaction is inevitable. the one begets the other. Bernard Avishai had a piece at the New Yorker last week called “Watching Gaza” that said Israel is guilty of war crimes, killing civilians in an effort to discredit Hamas. And the endgame, Avishai says, is rightwing consolidation of greater Israel, and the Palestinians going to the international criminal court. …In the absence of a credible peace process, which Netanyahu has preëmpted, the consequence of this war will be, in effect, the consolidation of a Jewish state in which the Arab minority will stop imagining a place for itself. And how long will Hezbollah stay out of the fray? That consolidation of a racist state is why Andrew Sullivan now says the two-state solution is dead; so let’s move on to a struggle for equal rights within one country. Nathan Thrall of the International Crisis Group had an excellent piece on the New York Times op-ed page on the “road to war,” saying that Israel chose this war as a means of blocking the unity deal between Hamas and Fatah. the most immediate cause of this latest war has been ignored: Israel and much of the international community placed a prohibitive set of obstacles in the way of the Palestinian “national consensus” government that was formed in early June…. Thrall says in so many words that the siege of Gaza is immoral and has to be lifted. For many Gazans, and not just Hamas supporters, it’s worth risking more bombardment and now the ground incursion, for a chance to change that unacceptable status quo. A cease-fire that fails to resolve the salary crisis and open Gaza’s border with Egypt will not last. It is unsustainable for Gaza to remain cut off from the world and administered by employees working without pay. Many writers are citing J.J. Goldberg’s piece at the Forward, “How Politics and Lies Triggered an Unintended War in Gaza,” which says that Israel manipulated the teen killings in the West Bank to have a war with Hamas, and now Israel is going off a “cliff.” Goldberg is essentially conveying a portrait of an intolerant political culture that Max Blumenthal gave us in his 2013 book, Goliath, a place whipped by war fever and fear of Arabs. Anne Barnard at the Times has a remarkably straightforward rendition of Palestinian conditions in Gaza. Perhaps most important, the vast majority of Gazans cannot leave Gaza. They live under restrictions that make this narrow coastal strip, which the United Nations considers occupied by Israel, unlike anywhere else. So the people of Gaza are refugees–it’s about time that is brought home to Americans. Barnard’s report is similar to Karl Penhaul’s excellent report on CNN last night, about people running for their lives in Gaza. Penhaul quoted moving calm statements by Sameh Grega, who had to abandon his mother when he fled Shuha’iyeh, and at the end of the report, by a young man describing the killing of his mother and brother. As sad as it is to say, the main effects of this round of fighting in Gaza will be found; 1- in the worldwide political damage done to Israel for the callous massacre of civilians and 2- the impact on Israeli and more importantly American popular opinion of a high Israeli military body count. Throughout previous Israeli operations intended to “mow the grass,” in Gaza, the IDF has operated with impunity, able to continue from day to day without major fear of the likelihood of its own casualties in dead and wounded. If these present reports are correct, that has changed. The American people have many admirable characteristics but their inability to see virtue in “losers” is not one of them. An ability on the part of the Hamas/IJ fighters to inflict casualties on the IDF would raise the public image of the Palestinians in America. According to the Israel FB page, Hamas now says that it will equip large numbers of Gazan youth with grenades and send them against IDF forces in suicide attacks. The Israelis do not seem to understand how potent a weapon that would be. What does Hamas really want? Read the list of conditions published in the name of Hamas and Islamic Jihad, and judge honestly whether there is one unjust demand among them. After we’ve said everything there is to say about Hamas: that it’s fundamentalist; that it’s undemocratic; that it’s cruel; that it does not recognize Israel; that it fires on civilians; that it’s hiding ammunition in schools and hospitals; that it did not act to protect the population of Gaza – after all that has been said, and rightly so, we should stop for a moment and listen to Hamas; we may even be permitted to put ourselves in its shoes, perhaps even to appreciate the daring and resilience of this, our bitter enemy, under harsh conditions. But Israel prefers to shut its ears to the demands of the other side, even when those demands are right and conform to Israel’s own interests in the long run. Israel prefers to strike Hamas without mercy and with no purpose other than revenge. This time it is particularly clear: Israel says it does not want to topple Hamas – even Israel understands that instead it will have Somalia at its gates – but it is also unwilling to listen to Hamas’ demands. Are they all “animals”? Let’s say that’s true. But they are there to stay, even Israel believes that’s the case, so why not listen? Last week 10 conditions were published in the name of Hamas and Islamic Jihad, for a 10-year cease-fire. We may doubt whether these were in fact the demands of those organizations, but they can serve as a fair basis for an agreement. There is not one unfounded condition among them. Hamas and Islamic Jihad demand freedom for Gaza. Is there a more understandable and just demand? There is no way to end the current cycle of killing, and not have another round in a few months, without accepting this. No military operation, by air, ground or sea, will bring a solution; only a basic change of attitude toward Gaza can ensure what everyone wants: quiet. Read the list of demands and judge honestly whether there is one unjust demand among them: withdrawal of Israel Defense Forces troops and allowing farmers to work their land up to the fence; release of all prisoners from the Gilad Shalit swap who have been rearrested; an end to the siege and opening of the crossings; opening of a port and airport under UN management; expansion of the fishing zone; international supervision of the Rafah crossing; an Israeli pledge to a 10-year cease-fire and closure of Gaza’s air space to Israeli aircraft; permits to Gaza residents to visit Jerusalem and pray at the Al-Aqsa mosque; and an Israeli pledge not to interfere in internal Palestinian politics such as the unity government; opening Gaza’s industrial zone. These conditions are civilian; the means of achieving them are military, violent and criminal. But the (bitter) truth is that when Gaza is not firing rockets at Israel, nobody cares about it. Look at the fate of the Palestinian leader who had had enough of violence. Israel did everything it could to destroy Mahmoud Abbas. The depressing conclusion? Only force works. The current war is a war of choice, a choice that we had. True, after Hamas started firing rockets, Israel had to respond. But as opposed to what Israeli propaganda tries to sell, the rockets didn’t fall out of the sky from nowhere. Go back a few months: the breakdown of negotiations by Israel; the war on Hamas in the West Bank following the murder of the three yeshiva students, which it is doubtful Hamas planned, including the false arrest of 500 of its activists; stopping payment of salaries to Hamas workers in Gaza and Israeli opposition to the unity government, which might have brought the organization into the political sphere. Anyone who thinks all this would simply be taken in stride must be suffering from arrogance, complacence and blindness. Terrifying amounts of blood are being spilled in Gaza – and in Israel to a lesser extent. It is being spilled in vain. Hamas is beaten down by Israel and humiliated by Egypt. The only chance for a real solution is exactly the opposite of the way Israel is going. A port in Gaza to export its excellent strawberries? To Israelis this sounds like heresy. Here once again, the preference is for (Palestinian) blood over (Palestinian) strawberries. Israel is far from having lost the strategic war to Hamas. But the real cost has been to its social cohesion: violence and intolerance both domestically and toward the death of Palestinian civilians. Ariel Ilan Roth’s recent article in Foreign Affairs was headlined “How Hamas Won.” He argues that Hamas can already declare victory in the 2014 Gaza war, because Israel has lost the strategic contest. In his view, Israel has won a set of purely tactical victories – the destruction of much of the tunnel infrastructure and preventing large-scale casualties among the Israeli population. To be sure, the strategic context doesn’t look good for Israel – it can’t completely end the rocket fire or defeat Hamas by military means. But that’s not because of the war; it’s because Israel doesn’t have a long-term strategic agenda that can take it beyond regular attacks on Gaza to “mow the grass” – intermittent efforts to punish Hamas and degrade its military capacity. In fact, though, Israel seems on the verge of winning a major victory over its enemy: Hamas’ military power has been considerably degraded already and it remains contained in Gaza, while Israel is not suffering any backlash from other governments. Instead, the real cost to Israel has been the exposure and exacerbation of internal social tensions. And these won’t be overcome as easily as laying siege to a territory or building alliances with friendly countries. While Hamas and the other Gaza jihadist groups survive and disrupt life for many Israelis, the trajectory of the broader regional context in which the war is playing out doesn’t work in their favor. The outcome of the war, which doesn’t seem likely to end with any major changes to the status quo – at least none that strengthen Hamas’ credibility and capability – will rather reinforce Israel’s military superiority. With many tunnels dismantled and rockets destroyed or spent, and its operations in the West Bank disrupted, it will be some time before Hamas can rebuild its military power. And that’s assuming the war ends soon, before more of its infrastructure is taken apart. In the meantime, it will have to deal with internal challenges to its rule from the other jihadists in Gaza. Part of the reason for Hamas’ decision to fight has to do with the financial crisis it finds itself in. It can’t pay the salaries of civil servants under its rule, and the destruction of the tunnels has meant the loss of revenue it gained through taxing them. The Hamas leadership will have a difficult time trying to pay its workers and rebuild its rocket arsenal simultaneously. Hamas’ regional allies – those who can protect its interests in cease-fire talks – are few and far between these days. Ties with Iran have been strained for some time now, and though the two seem to be moving toward reconciliation, Iran has no role to play in cease-fire efforts. Its ability to rearm Hamas – even if it wants to – is constrained by the damage to the tunnel system under the Sinai border through which Iranian arms and equipment was sent. Hamas’ traditional ally, Egypt, is, under Abdel-Fattah al-Sissi and the military, more aligned with Israel’s interest than Hamas’. Only Turkey and Qatar remain relatively close to Hamas. While they can still provide some diplomatic support and – Qatar especially – financial support, that’s not enough to bolster Hamas against Israel. Turkey took itself out of the equation with Prime Minister Recep Tayyip Erdogan’s anti-Semitic rhetoric, and it is Qatar’s very relationship with Hamas that causes Israel to be suspicious of its involvement. At the same time, Israel retains considerable sympathy from world leaders because of Hamas’ refusal to accept previous cease-fire offers and its use of Palestinian civilian areas to hide its weapons, tunnels and fighters. It’s true, as Roth asserts, that the Israeli public has suffered, particularly in the south. Millions of Israelis have been forced into bomb shelters on a regular basis. But, to put it bluntly, they are used to it. They won’t punish their leaders for it, particularly when they see how much damage was caused to the Hamas rocket infrastructure in Gaza. While they may grow frustrated, there’s a deeper sense among much of the Israeli public that the threat surrounding the country is simply one to be accepted and dealt with on a case-by-case basis when the need arises. None of this means that the status quo itself is not costly to Israel; it is. But that is not a function of this war, which is rather a symptom of the larger disease – the inability to resolve the Israeli-Palestinian conflict. Israel’s other “loss” in this war is to its social cohesion, which in turn has led to the public outbreak of racism, violence and intolerance. The lead-up to the war (the kidnapping and murder of three Israeli yeshiva students) led directly to calls for revenge by many Israeli leaders and citizens, roaming mobs of violent racists and the horrible murder of Mohammed Abu Khdeir. The war itself heightened these feelings while diminishing the ability to see the other side’s suffering and to tolerate those who might sympathize with it, leading to even more internal violence. Supporters of the war have attacked both Arab citizens and Jews protesting the war. Many admit to having little ability to empathize with Palestinian mothers, fathers and children who have lost family members and their homes. And there isn’t much more interest in the lack of bomb shelters for Israel’s own Bedouin citizens. Of course, this doesn’t represent all Israelis; many have protested this behavior, and many others don’t subscribe to them while remaining at home. But it’s still too many, and there is much work to be done. The excuse that Israel is currently fighting a war and cannot be distracted by these minor issues is just that; it is precisely at this moment that tolerance and human empathy should be reinforced. A society that cannot generate sorrow for civilians being killed elsewhere becomes inured to violence against its own members, and more sympathetic to and excusing of it. It will produce many more Yigal Amirs, Baruch Goldsteins and La Familias. That’s not the meaning of a Jewish and democratic state. A supporter of Israel’s campaign in Gaza evades a longstanding taboo, using logic uncomfortably close to what’s employed by Palestinian and Al Qaeda terrorists. After the September 11 terrorist attacks, Osama bin Laden argued that Al Qaeda was perfectly justified in killing all those people inside the World Trade Center because they weren’t really civilians–they were complicit in U.S. might and misdeeds. Didn’t their taxes fund America’s CIA assassinations and war planes? As every American understood perfectly well at the time, the attack that day would not have been justified even if all office workers in the Twin Towers had voted for a president and supported a military that perpetrated grave sins in the Middle East. Or even, indeed, if they were all subletting spare bedrooms to U.S. soldiers. Killing civilians is wrong, no matter how often those who do it insist that the humans they killed weren’t really innocent. Everyone understands this truth when the civilians being killed are one’s countrymen or allies–but forget it quickly when the civilians are citizens of a country one is fighting or rooting against in war, even though the civilizational taboo against killing civilians becomes no less important. Gazans sheltered terrorists and their weapons in their homes, right beside ottoman sofas and dirty diapers. When Israel warned them of impending attacks, the inhabitants defiantly refused to leave. On some basic level, you forfeit your right to be called civilians when you freely elect members of a terrorist organization as statesmen, invite them to dinner with blood on their hands and allow them to set up shop in your living room as their base of operations. At that point you begin to look a lot more like conscripted soldiers than innocent civilians. And you have wittingly made yourself targets. For purposes of this article, let’s set aside all the adults killed in Gaza, just for the sake of argument. The dead Palestinian children are evidence enough that “real civilians” are being slaughtered. In the above passage, the author focuses on the dirty diapers rather than the baby that produced them. Elsewhere, he acknowledges the revolting number of kids killed in this conflict, and then adds, as if it’s concession enough, “Surely there are civilians who have been killed in this conflict who have taken every step to distance themselves from this fast-moving war zone, and children whose parents are not card-carrying Hamas loyalists. These are the true innocents of Gaza.” In fact, even a toddler whose father is a card-carrying Hamas loyalist is an innocent, by virtue of being a young child! Rosenbaum’s argument is extremely similar to the justifications that terrorist groups use when they target civilians in their own attacks. It is based on the false assumption that there are no real innocents or bystanders in a given country because of their previous political support for a government and its policies, which supposedly makes it permissible to strike non-military targets. It is very important to reject this logic no matter where it comes from or whose cause in a conflict it is being used to advance, because this is the logic that has been used to justify countless atrocities down through the years. No matter one’s position on Israel, Palestine, or the current conflict, the fact that innocent civilians exist on both sides, that they ought to be protected from death and dismemberment, and that they’re presently dying in large numbers ought not be denied. When the strike leveled a four-story house in the southern Gaza Strip the night before, it also killed 25 members of four family households—including 19 children—gathered to break the daily Ramadan fast together. Relatives said it also killed a guest of the family, identified by an Israeli human rights group as a member of the Hamas military wing, ostensibly Israel’s target. The attack was the latest in a series of Israeli strikes that have killed families in their homes, during an offensive that Israel says is meant to stop militant rocket fire that targets its civilians and destroy Hamas’s tunnel network. The Palestinian deaths—75 percent of them civilians, according to a United Nations count—have prompted a wave of international outrage, and are raising questions about Israel’s stated dedication to protecting civilians. 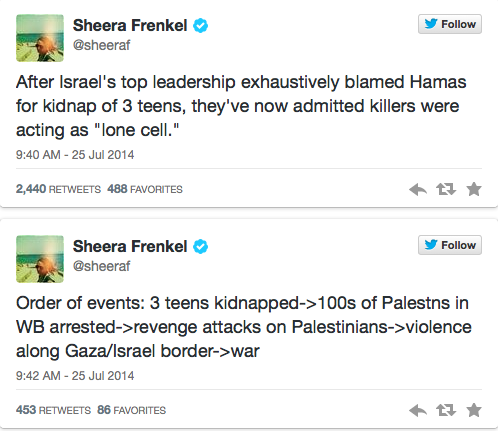 Killing 19 children in order to get one Hamas fighter is horrific. Israel’s experience as a terrorist target suggests that watching foreigners kill children in one’s midst does not break a people’s desire to fight—it strengthens it. 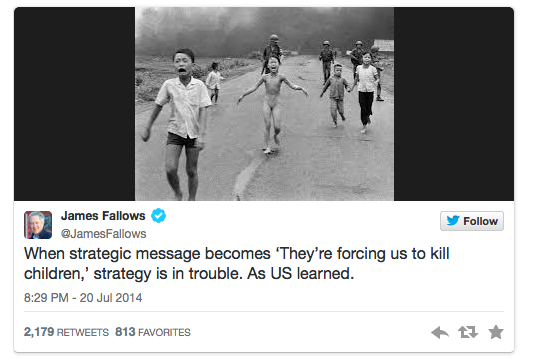 The spike in civilian deaths we’re witnessing appears to be a moral and strategic failure. PRINCETON, NJ — Americans are divided in their views of whether Israel’s actions against the Palestinian group Hamas is “mostly justified” or “mostly unjustified,” but they widely view Hamas’ actions as mostly unjustified. Those results are similar to what Gallup measured 12 years ago during another period of heightened Israeli-Palestinian violence, and they are consistent with Americans’ generally more positive views of the Israelis than of the Palestinians. 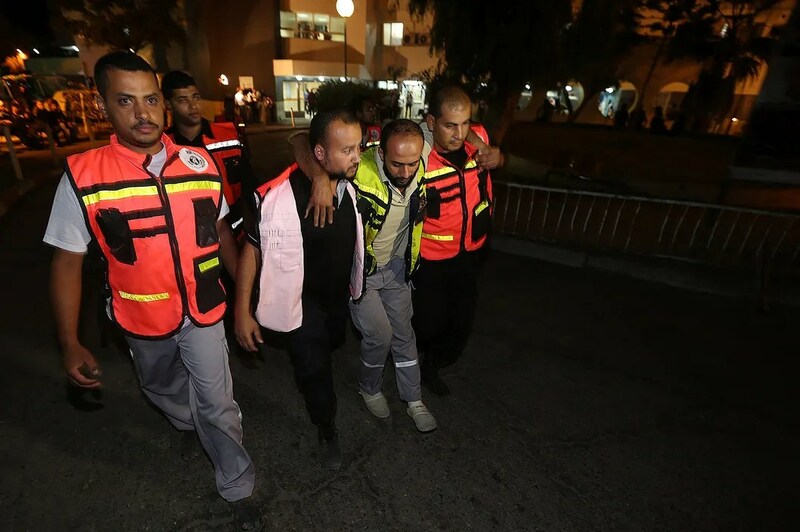 The latest escalation of violence in the Middle East occurred after the militant Palestinian group Hamas captured and killed three Israeli students and a Palestinian teen was subsequently murdered in an alleged revenge killing. The tensions erupted into bombings, missile attacks, and armed conflict. The two sides have not agreed to a cease-fire so far despite the international community’s efforts to end the fighting. There are not substantial differences across major demographic and attitudinal subgroups as to whether Hamas’ actions are justified; significant majorities of all major subgroups say what Hamas is doing is unjustified. However, there are significant differences in opinions of Israel’s actions by subgroup. Consistent with Republicans’ more pro-Israel outlook, the majority of Republican identifiers back what Israel is doing. Meanwhile, Democrats take the opposing view, with nearly half saying Israel’s actions are unjustified. Other subgroup differences may stem from the basic party divisions. Men, older Americans, and whites are more likely than women, younger Americans, and nonwhites to say Israel’s actions are justified. Although Americans with postgraduate education tend to be politically Democratic, they are the most likely education group to endorse Israel’s actions. A majority of Americans interviewed July 22-23 say they are following news of the conflict very (22%) or somewhat (37%) closely. The more closely Americans are following the news about the Middle East situation, the more likely they are to think Israel’s actions are justified. There are not large partisan differences in terms of whether the current round of violence is more serious than in the past. However, 65% of those following the story very closely, and 54% following it somewhat closely, say the current conflict is more serious than past Israeli-Palestinian fighting. Americans are generally pessimistic about the Israelis and Palestinians being able to settle their differences and live in peace, and while the escalated tensions between the two sides have been a major news story the last two weeks, the American public does not view it as any more serious than past conflicts. Americans continue to exhibit more positivity toward Israel than the Palestinians, but also stop short of saying Israel’s actions in the current situation are justified. At this point, more than two weeks into the conflict, it is not clear how long the increased violence will continue, as efforts to broker a cease-fire have been unsuccessful. Survey MethodsResults for this Gallup poll are based on telephone interviews conducted July 22-23, 2014, on the Gallup Daily tracking survey, with a random sample of 1,016 adults, aged 18 and older, living in all 50 U.S. states and the District of Columbia. The official name for Israel’s latest assault on Gaza is “Operation Protective Edge.” A better name would be “Operation Déjà Vu.” As it has on several prior occasions, Israel is using weapons provided by U.S. taxpayers to bombard the captive and impoverished Palestinians in Gaza, where the death toll now exceeds 500. As usual, the U.S. government is siding with Israel, even though most American leaders understand Israel instigated the latest round of violence, is not acting with restraint, and that its actions make Washington look callous and hypocritical in the eyes of most of the world. And why did Netanyahu decide to go on another rampage in Gaza? As Nathan Thrall of the International Crisis Group points out, the real motive is neither vengeance nor a desire to protect Israel from Hamas’ rocket fire, which has been virtually non-existent over the past two years and is largely ineffectual anyway. Netanyahu’s real purpose was to undermine the recent agreement between Hamas and Fatah for a unity government. Given Netanyahu’s personal commitment to keeping the West Bank and creating a “greater Israel,” the last thing he wants is a unified Palestinian leadership that might press him to get serious about a two-state solution. Ergo, he sought to isolate and severely damage Hamas and drive a new wedge between the two Palestinian factions. Behind all these maneuvers looms Israel’s occupation of Palestine, now in its fifth decade. Not content with having ethnically cleansed hundreds of thousands of Palestinians in 1948 and 1967 and not satisfied with owning eighty-two percent of Mandatory Palestine, every Israeli government since 1967 has built or expanded settlements in the West Bank and East Jerusalem while providing generous subsidies to the 600,000-plus Jews who have moved there in violation of the Fourth Geneva Convention. Two weeks ago, Netanyahu confirmed what many have long suspected: he is dead set against a two-state solution and will never–repeat never–allow it to happen while he is in office. Given that Netanyahu is probably the most moderate member of his own Cabinet and that Israel’s political system is marching steadily rightward, the two-state solution is a gone goose. Worst of all, the deaths of hundreds more Palestinians and a small number of Israelis will change almost nothing. Hamas is not going to disband. When this latest round of fighting ends, the 4.4 million Palestinians who live in the West Bank and Gaza will still be Israel’s de facto prisoners and still be denied basic human rights. But they are not going to leave, mainly because Palestine is their homeland, but also because they have nowhere to go, especially given the turmoil in other parts of the Middle East. Eventually another ceasefire will be negotiated. The dead will be buried, the wounded will recover, the tunnels now being destroyed will be rebuilt, and Hamas will replenish its stockpile of missiles and rockets. The stage will then be set for another round of fighting, and Israel will have moved further down the road to becoming a full-fledged apartheid state. Meanwhile, U.S. politicians and policymakers continue to back a brutal military campaign whose primary purpose is not to defend Israel but rather to protect its longstanding effort to colonize the West Bank. Amazingly, they continue to support Israel unreservedly even though every U.S. president since Lyndon Johnson has opposed Israel’s settlements project, and the past three American presidents–Clinton, Bush and Obama–have all worked hard for the two-state solution that Israeli policy has now made impossible. Yet as soon as fighting starts, and even if Israel instigates it, AIPAC demands that Washington march in lockstep with Tel Aviv. Congress invariably rushes to pass new resolutions endorsing whatever Israel decides to do. Even though it is mostly Palestinians who are dying, White House officials rush to proclaim that Israel has “the right to defend itself,” and Obama himself won’t go beyond expressing “concern” about what is happening. Of course Israelis have the right to defend themselves, but Palestinians not only have the same right, they have the right to resist the occupation. To put this another way, Israel does not have the right to keep its Palestinian subjects in permanent subjugation. But try finding someone on Capitol Hill who will acknowledge this simple fact. The explanation for America’s impotent and morally bankrupt policy is the political clout of the Israel lobby. Barack Obama knows that if he were to side with the Palestinians in Gaza or criticize Israel’s actions in any way, he would face a firestorm of criticism from the lobby and his chances of getting Congressional approval for a deal with Iran would evaporate. Similarly, every member of the House and Senate–including progressives like Senator Elizabeth Warren–knows that voting for those supposedly “pro-Israel” resolutions is the smart political move. They understand that even the slightest display of independent thinking on these issues could leave them vulnerable to a well-funded opponent the next time they’re up for re-election. At a minimum, they’ll have to answer a flood of angry phone calls and letters, and, on top of that, they are likely to be blackballed by some of their Congressional colleagues. The safer course is to mouth the same tired litanies about alleged “shared values” between Israel and the U.S. and wait till the crisis dies down. And people wonder why no one respects Congress anymore. To be sure, the lobby’s clout is not as profound as it once was. Public discourse about Israel, U.S. policy toward Israel and the lobby itself has changed markedly in recent years, and a growing number of journalists, bloggers and pundits–such as Andrew Sullivan, Juan Cole, Peter Beinart, M.J. Rosenberg, Max Blumenthal, Phyllis Bennis, Bernard Avishai, Sara Roy, Mitchell Plitnick, David Remnick, Phil Weiss and even (occasionally) Thomas Friedman of the New York Times–are willing to speak and write candidly about what is happening in the Middle East. Although most Americans openly support Israel’s existence–just as I do–their sympathy for an Israel that acts more like Goliath than David is fading. The ranks of the skeptics include a growing number of younger American Jews, who find little to admire and much to dislike in Israel’s actions and who are far less devoted to it than were previous generations. Pro-peace groups such as J Street and Jewish Voice for Peace reflect that trend and show that opinion among American Jews is far from unified. Moreover, AIPAC and other hardline lobby groups could not convince the Obama administration to intervene in Syria, and they have been unable to convince the Bush or Obama administrations to launch a preventive strike against Iran’s nuclear infrastructure. They have also failed to derail the nuclear negotiations with Tehran–at least so far–though not for lack of trying. Pushing the U.S. toward another Middle East war is a lot for any interest group to accomplish, of course, but these setbacks show that even this “leviathan among lobbies” does not always get its way. But the lobby is still able to keep roughly $3 billion in U.S. aid to Israel flowing each year; it can still prevent U.S. presidents from putting meaningful pressure on Israel; and it can still get the U.S. to wield its veto whenever a resolution criticizing Israel’s actions is floated in the U.N. Security Council. This situation explains why the Obama administration made zero progress toward “two states for two peoples”: if Israel gets generous U.S. support no matter what it does, why should its leaders pay any attention to Washington’s requests? Obama and Secretary of State John Kerry could only appeal to Netanyahu’s better judgment, and we’ve seen how well that worked. Hier soir, tard dans la nuit, je me suis souvenu d’une histoire, de la visite du Prophète Mohamed (saaws) à Taëf. Pour faire court, le Prophète est allé visité Taëf après avoir enduré une année très difficile sur le plan personnel et même religieux: la mort de son oncle, la mort de sa femme, et l’étau se refermé sur lui et ses compagnons dans sa ville natale, Mecca. Une fois à Taëf, en compagnie de Zaid ibnou Haritha, les leaders de la ville lui ont préparé un comité d’accueil bien spéciale en exhortant les enfants et les adultes a les lapider et les insulter. Le prophète était blessé et il saignait des pieds et du visage. L’ange Gabriel vint à lui et lui a dit: Si vous me commandez maintenant, on peut effondrer ces montagnes sur cette ville. Vous me donnez l’ordre et ce sera fait. Le prophète, a t-il pris cette offre alléchante pour se venger? Est-ce que son compagnon lui dit: “Hey, Mohamed, pourquoi ne nous réduisons pas cette ville maudite en cendres mec.” Non, le Prophète n’a pas dit ou fait cela. Plutôt, le Prophète (saaws) a prononcé un des plus beaux du’ah que j’ai jamais lu, plein de compassion et même d’amour pour ses ennemis. Il a dit, oh mon dieu, si vous n’êtes pas en colère contre moi, je préfère ne rien faire, et ce qui m’arrive ne me dérange point. Maintenant, nous les Musulmans avons adopté ce karaté-kung-fu d’Islam. Un Islam qui est plein de rituels et complètement vide de toute spiritualité. La plupart des Musulmans ont oublié qu’il est venu comme une bénédiction pour les mondes” (“وما أرسلناك إلا رحمة للعالمين). Le mot “monde” ici est au pluriel parce qu’il s’agit de ce monde et de celui qui viendra. Nous pensons que ce Prophète a apporté une sorte de manuel de karaté et de gymnastique. Tout ce que nous entendons de nos imams est un tas de codes — un code religieux binaire: hallal vs. haram, des 1 et des 0. Ok, très bien, toutes les religions du monde ont ce côté rituel, mais on doit donner autre chose à l’être sinon cette religion devient une sorte de mécanique. On doit nourrir le côté spirituel, nourrir l’âme et l’esprit. Dites-moi, pourquoi Allah c’est gêné d’envoyer un Prophète, son Prophète? Pourquoi Allah ressentait le besoin d’ajouter une autre religion? Et les réponses sont au cœur de notre religion parce que cette religion est une bénédiction pour les mondes, et non pas une malédiction. أيها الناس اسمعوا قولي ، فإني لا أدري لعلي لا ألقاكم بعد عامي هذا بهذا الموقف أبدا ، أيها الناس إن دماءكم وأموالكم عليكم حرام إلى أن تلقوا ربكم كحرمة يومكم هذا. Il n’a pas dit, vous ne pouvez pas tuer les musulmans, mais allez y, c’est le Mardi Gras pour les autres, vous pouvez zigouiller les Chrétiens et les Païens et les Juifs et même les extraterrestres si vous en avez la possibilité. Non, Il a dit: vous ne pouvez pas tuer. Arrêt complet. Sommes-nous mieux que le Prophète (saaws)? Qui sont ces imams, ces chouyoukhe qui justifient leur fantasmes malades par notre religion. Nous avons tous besoin de revenir au message de base de notre religion “وما أرسلناك إلا رحمة للعالمين”. Nous ferions mieux de se rappeler de cela parce que nous — et par nous, je veux dire les Musulmans du monde entier– avons fait une moquerie, une dérision de ce beau message. Nous avons prostitué le message du Prophète, et nous serons appelés un jour a dire pourquoi, pourquoi nous n’avons rien dit. Et non, il n’y a pas de complot fantasmatique ourdi contre nous. Ce qui nous arrive est une suite presque logique qui reflète l’état social, académique, économique, politique, et culturel dans lesquels on est coincé. Rien de ce qui nous arrive était ou est imprévisible (il faut lire Malek Bennadi). Pendant plusieurs siècles, nous (et par nous, je veux dire nos autocrates et nos régimes dictatoriaux et nos leaders et nos imams) avons tué le débat d’idées en dogmatisant et déifiant jusqu’au point de l’idolâtrie des concepts et les hommes religieux. Et quand vous tuez le débat d’idées, vous tuez une culture; et quand vous tuez une culture, vous tuez une civilisation, disait Bennabi. Mais, je termine sur une note positive: On est là et on ne se laissera pas faire. On ne permettra pas à ces voyous d’être l’avant-garde ou les porte-paroles ou les protecteurs des Musulmans ou de l’islam. Non, je ne suis pas Charlie parce que je n’ai jamais lu le journal, mais je suis livide, en colère que ces hommes et ces femmes innocents été tués par des voyous au nom du Prophète, alors qu’il les aurait maudit, là ça me touche et ça touche mon identité. C’est pour cela que ce Prophète même aurait dit non. Et dire non pas uniquement pour ce qui s’est passé hier, mais des autres crimes perpétrés au nom de ce message. On ne permettra pas à ces voyous d’être les protecteurs de l’islam parce que c’est simple: Si nous faisons cela, nous capitulerons effectivement à notre bourreau, et on ne va pas capituler. Oui, j’appelle à voter pour Ali Benflis et mon choix est fondé sur un pragmatisme froid et même glacial. Je suis conscient de mon choix, et je ne suis pas naïf, comme certains pourraient le penser, que Benflis est le candidat idéal ou même parfait. Je prends le monde tel qu’il est, et non tel qu’il devrait l’être, et dans ce monde réel, pas imaginaire ou fantasmatique, Benflis est le choix. Je suis également conscient que je ne suis pas d’accord avec lui sur plusieurs questions et plusieurs positions, mais c’est la seule option que nous avons devant nous en ce moment crucial de l’histoire de l’Algérie. Il est le seul choix sur la table parce que, soyons honnêtes avec nous-même, nous n’avons pas une opposition capable et intelligente. On n’a pas une opposition formelle ou une opposition informelle. Les islamistes, les modérés comme les conservateurs, sont encore politiquement immatures, et en toute franchise, ils sont des amateurs de la politique. Les soi-disant démocrates ou sociaux-démocrates ne peuvent même pas être en désaccord avec eux-mêmes. Chaque clan de notre opposition pitoyable, enfantine, et honteuse colporte une plate-forme pour le changement. Toutes ces plates-formes — et je les ai lu toutes — se ressemblent. Toutes appellent a l’établissement d’un gouvernement d’union nationale qui comprend toutes les forces politiques vives du pays pour mener une période de transition. Mais ces plate-formes ne valent même pas le papier sur lequel elles sont écrites. C’est un discours rhétorique et démagogique vide. Les plates-formes, aussi nobles qu’elles peuvent l’être, n’ont jamais apporté quelconque changement. Seule l’organisation porte et provoque les changements. Même notre prophète (saaws), qui portait avec lui une plate-forme d’un ordre divin, a agi. Il est allé à la Médine, a organisé ses disciples, a signé des accords avec ses ennemis, et a même compromis avec eux. Qui sommes-nous pour penser que nous sommes plus juste et plus équitable que notre prophète? Donc, que chacun d’entre nous révise sa position et met son égo de côté car il y a des intérêts et des agendas qui sont plus importants que nos petits et misérables calculs politiques. Notre pays, l’Algérie, est dans une situation désastreuse. Jamais nous avons été dans une position aussi dangereuse que celle-ci. Et je refuse de jouer le jeu du pourrissement. Je suis très conscient des petits calculs politiques que certains dans l’opposition sont en train de faire. Leur argument est que nous laissons la situation pourrir au maximum, et le régime tombera de lui-même. Ce qui est vrai et ça pourrait se passer. Mais ma réponse est que vous avez tort car ceci est un jeu suicidaire dont le prix sera la vie de millions de familles algériennes qui verront leurs finances littéralement effacées et leurs vies et leurs espoirs écrasés et dévastes pendant des décennies. Je refuse de jouer à ce jeu parce que nous sommes à l’aube de graves déficits budgétaires, d’une dette publique probablement énorme considérant les demandes sociales, une inflation à deux chiffres, un taux de chômage catastrophique, une dette extérieure, et les services de cette dette. Nous sommes à l’aube d’un déclin important de la production nationale de pétrole et du gaz naturel. Nous sommes à l’aube et nous faisons face déjà à une sérieuse augmentation de la consommation domestique de pétrole et de gaz naturel (hausse de 9% par an du gaz naturel). C’est ainsi que par l’an 2025-30, chaque goutte de gaz naturel que nous produirons sera consommée sur le marché domestique, et cela amputera massivement les recettes de l’état (et il faut rappeler que 98% de nos revenus proviennent de l’exportation des hydrocarbures). Nous sommes aussi à l’aube d’un déclin progressif et continuel des prix du pétrole sur le marché international. En cinq ans, notre population augmentera de presque 4 millions, et des centaines de milliers de jeunes Algériens seront sur le marché du travail. Les demandes sociales sont insupportables à traiter et à négocier avec un baril à 120 dollars, et seront pratiquement impossible à gérer avec la baisse des marchés des hydrocarbures et de surcroît la baisse de la production nationale. Non, je ne joue pas à ce jeu nauséabond du pourrissement parce que quand ce qui reste de notre économie s’effondrera, il y aura que des ruines et le climat social et politique seront si chaotique et si anarchique que tout changement sera difficile à apporter, voir presque impossible à implémenter. Bâtir et lancer un mouvement pour le boycott est bâtir la structure organisationnelle du changement. 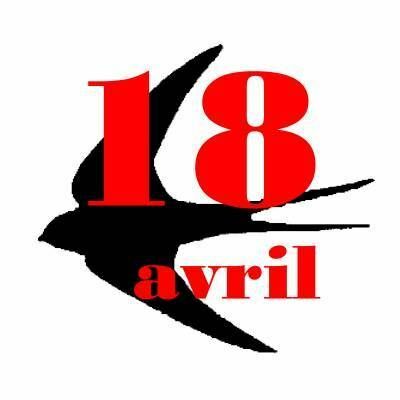 Non seulement ce mouvement peut vaincre et battre la narrative du système le jour du scrutin le 17 Avril et coupe à travers le bruit ambiant, mais il peut fournir également l’argument moral et la base organisationnelle sur et par laquelle la bataille pour le changement peut être menée […] Nous devons travailler dur pour que ce mouvement pour le boycott soit une réussite. Nous devons construire l’organisation qui mobilise les électeurs à rester chez eux et à déserter les rues le jour du scrutin. Une sorte de Janvier 1960 bis. Ensuite, nous utilisons le succès du boycott pour pousser l’ordre du jour le plus important qui est le changement. Où est ce boycott massif et actif? Il est nulle part. Pourquoi? Parce que nous avons une opposition incapable, immature et politiquement stupide. C’est pourquoi je déclare que toute tentative de boycotter le vote du 17 Avril sera un échec cuisant, et ne fera que conduire à la réélection de Bouteflika, et la pérennisation du système qu’il dirige et protège. Pour ceux qui disent que le vote sera truqué, je dis que s’il y a une participation massive qui accable le système électoral, la fraude électorale diminuerait. S’il y a une grande marge en faveur de Benflis, Bouteflika ne pourrait pas truquer les résultats. Et s’il le fait, il serait plus facile pour le peuple de sortir dans la rue et demander réparation. En conclusion, je crois qu’il est temps que chacun d’entre nous assume sa responsabilité devant l’histoire et devant ce peuple meurtri. Je ne suis pas un jusqu’au-boutiste et je ne le serai jamais. J’ai aussi horreur de l’idéalisme creux et stupide car il est dangereux et mène toujours vers l’extrémisme politique et le dogmatisme idéologique. Citant Voltaire, je dis “J’aime fort la vérité, mais je n’aime point du tout le martyre.” Et je rajoute que je suis un partisan farouche du pragmatisme et de ne jamais laisser le parfait être l’ennemi du bien, pour citer encore une fois Voltaire. Donc j’assume ma responsabilité devant dieu dans ces moments très périlleux pour notre pays. Je peux être dans le tort et je peux me tromper comme je peux être correct, seul dieu connait l’avenir. Mais ce que je sais, c’est qu’il y a une petite probabilité que quelque chose de bien pour notre pays pourrait se produire avec l’élection de Benflis. Je prends cette probabilité aussi petite et aussi minuscule qu’elle soit au lieu de s’agripper à une probabilité qui est nulle, ou d’attendre que notre incapable opposition sort sa tête des eaux marécageuses dans lesquelles elle se noie. Peu importe celui qui gagne les élections, le 18 Avril et tous les jours et les mois après cette date constitueront une période et des moments difficiles pour l’Algérie. Peu importe le vainqueur des élections, il sera un président faible et un président très mal élu. Peu importe le vainqueur, il n’aura pas un mandat populaire. Peu importe qui sera président le 18, il devra faire face à une population très hostile, n’aura aucune lune-de-miel, et ne bénéficiera pas de la confiance de la majorité de la population. En fait et pour être clair, quels que soient les résultats des élections, il n’y aura pas de gagnant le 18 Avril. Si Bouteflika gagne, le pays sera plongé dans un autre cycle prolongé de protestations et de contestations. Tous ces mouvements ne disparaîtront pas du jour au lendemain juste parce que Bouteflika est réélu pour un autre terme. En fait, le 4e mandat de Bouteflika sera le mandat de tous les dangers pour le pays. Jamais, depuis 1962 l’avenir de l’Algérie a été aussi incertain. Sur le plan économique, la fenêtre d’opportunité pour engager des réformes très significatives, très nécessaires et très difficiles se referme rapidement, et le temps, dont nous n’en avons pas beaucoup, nous échappe furtivement. Socialement, je peux entendre d’ici à des milliers de miles de l’Algérie le déchirement du tissu social. Ethniquement, notre fragmentation ethnique n’a jamais été aussi élevée et aussi aiguë. Tous ces éléments feront l’élaboration des politiques de reformes et leur mise en œuvre extrêmement difficile, si ce n’est impossible. Par ailleurs, si Bouteflika gagne, les militaires et les services de renseignement devront se mettre rapidement a la tache pour trouver un autre candidat pour remplacer le mourant qui vient d’être élu. Car il faut être honnête, Bouteflika ne survivra pas son 4e mandat, et de nouvelle élections présidentielles seront dans notre proche avenir, donc une nouvelle période d’incertitude, une nouvelle période de tractation, une nouvelle période de tension et de guéguerre et de conflits internes entre les différents clans de l’armée et de la voyoucratie feront parties de notre quotidien encore une fois. Un 4e mandat de Bouteflika plongera également le pays dans une paralysie totale et bloquera toutes les réformes qui sont vitales et cruciales pour l’avenir du pays car un président mal élu qui ne bénéficie pas de l’appui, du support et de la confiance de son peuple ne peut pas être un président réformateur, mais sera un président qui régnera sur la lente et progressive décadence d’une nation qui est déjà dans un état prononcée d’une rigor mortis. Un 4e mandat de Bouteflika conduira à une plus grande polarisation sociale, ethnique et politique entre l’élite dirigeante du pays et le peuple. A toutes fins utiles, ce 4e mandat de Bouteflika sera le mandat de trop, la goutte qui fera débordée le vase Algérien, et seul Dieu sait ce qui pourrait arriver par la suite. Que diriez-vous d’une élection de Benflis? Eh bien, si Benflis est élu, il sera un président minoritaire à coup sûr. Il sera mal élu aussi. Mais il bénéficiera d’un très court laps de confiance et de support populaire. 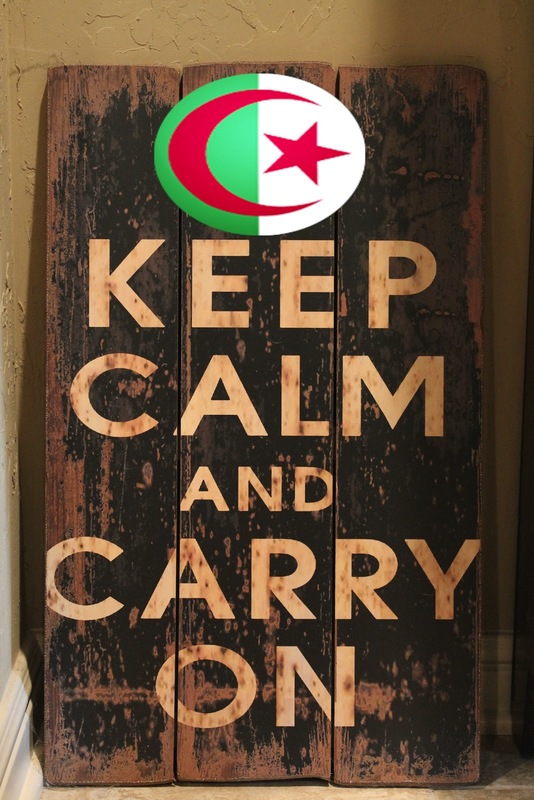 C’est à lui, s’il était élu, de cultiver cette naissante confiance, et de gagner le cœur et l’amé du peuple Algérien.Vous me demandez, comment peut-il le faire? Eh bien, ce sera à lui et à lui seul d’agir. Tous ses actes seront examinés. Tous ses mouvements seront de près surveillés et analyses par la population. Toutes ses erreurs et faux pas seront aussi exploités par ses ennemis. Si Benflis est élu, il aura très peu d’espace pour manœuvrer, et son avenir ainsi que l’avenir de l’Algérie dépendra de ses premières actions et de ses premières initiatives. S’il appellerait à un gouvernement d’unité nationale ou un gouvernement des forces vives du pays; s’il prévoirait une période de transition pour rédiger une nouvelle constitution inclusive et véritablement démocratique; s’il étendrait sa main à l’aile laïc ainsi que l’aile islamiste; s‘il regarderait le peuple Algérien dans les yeux et nous dirait “Je ne peux vous promettre que du sang, des larmes, et du travail acharné, et rien d’autre,” là, uniquement là, Benflis pourrait réussir. Sinon, je n’ose même pas imaginer le scénario alternatif car seul un soulèvement sanglant et coûteux serait notre salut. Je n’ai pas une boule de cristal pour voir l’avenir de l’Algérie, mais je crois et je pense (et je crois que je ne suis pas le seul) que nous sommes à un moment critique où tout le monde doit se calmer d’un cran. Nous assistons à une évolution grave de la situation, une division probable dans les hautes sphères de l’institution militaire, et une panique évidente de ceux qui ont poussé et sont encore en train de pousser la candidature de Bouteflika. C’est dans ces moments là que nous ne devrions pas ajouter au bruit ambiant et au brouhaha, ou prendre des positions plus radicales ou faire dans gesticulations inutiles, et en dépit de toutes les provocations qui vont venir, nous devons résister a cela. C’est ma conviction la plus ferme que nous devons: 1) continuer et maintenir la pression; et 2) être prêt à s’asseoir et à faire des compromis. Oui des compromis entre nous et avec le pouvoir. Le mot “compromis” n’est pas un mot sale, grossier, ou une expression de trahison ou de faiblesse. Le compromis pour le bien de tous (the greater good) est le cœur battant de la politique dans une démocratie. Il ne faut pas laisser la perfection être l’ennemi du bien, ou le compromis être l’ennemi de la solution. Comme disait le Mahatma, “Un œil pour un œil rendra le monde entier aveugle” (An eye for an eye will leave everyone blind), et nous ne sommes certainement pas de meilleurs politiciens que Gandhi. Je ne dis pas que nous devrions arrêter. Non. Je dis qu’il faut maintenir la pression, mais être prêt à faire des compromis pour le “greater good.” Et Il ne s’agit pasde moi et de ma génération, nous sommes déjà de l’histoire. Et Il ne s’agit pas aussi de votre génération, vous êtes, hélas, aussi déjà de l’histoire. Mais il s’agit de la prochaine et celle après la prochaine. Donc, il faut mettre de l’eau dans notre vin, comme on dit, et mettre nos egos, nos émotions, et notre zèle de côté. let cooler heads prevail! Il parait qu’il y a une entente, une sorte de paix, un patto di non violenza, un accord entre les proxénètes pour exploiter encore la prostituée nommée Algérie. Il faut dire que cette belle brunette de prostituée a des yeux séduisants, et les hanches bien larges et bien pleines de cash. Sa renommée est légendaire parmi les connaisseurs de l’industrie du sexe. Depuis presque 50 années que cette fille de joie regarde le chandelier, étudie les petites imperfections de son plafond, arpente les trottoirs jours et nuits, séduit les michetons totalement désarmés devant ses cahrmes , et amasse l’oseille comme une folle broyeuse. Tellement d’oseille qu’elle est devenue le bien le plus précieux d’un groupe de proxénètes trop gros, trop méchants et vraiment hideux. Et il semble que Boutef est ce fameux micheton de consensus. 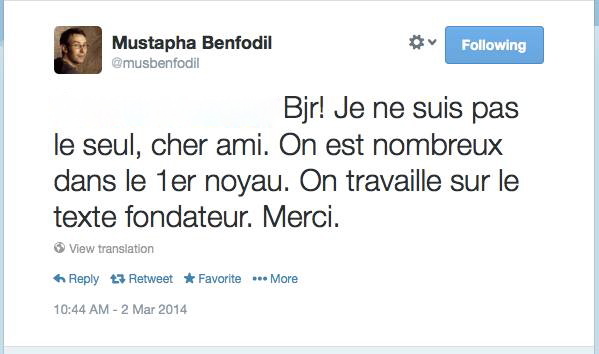 Il faut dire que Boutef était un micheton connu dans le temps, très viril. Il y a même des légendes sur son compte comme quoi qu’il pouvait aller tout le quinquennat, sans arrêt, sans pause, et sans viagra. Et oui Messieurs, Dames, plusieurs fois de suite ! Mais dernièrement, les gros, méchants, et vraiment hideux proxénètes savent bien que Bouef a vieilli. Il n’est plus le même. Pas de vigueur. Sans coup de hanche s’est affaibli. Il est mou comme un baba au rhum. Il balbutie et bave le pauvre; Il sent le camphre et le vinaigre; il a la tremblote, l’œil qui divague, et il est sourd comme un pot. Il parait même qui ne reconnaît plus personne, même pas sans image dans son miroir antique et poussiéreux. Mais que faire disent les proxénètes ? Que faire ? Leur cheval, leur étalon va crever bientôt et tout le viagra du monde ne le fera pas durer tout un autre quinquennat, pas même sa moitie ou le tier. Ils savent que leur client est cuit. Mais mesquin et sournois comme un proxénète, tu n’en trouveras pas. Ils se sont dits, « il faut tourner notre cheval de bois en un cheval de Troie ». Puisque ce choix est provisoire et temporaire, on utilisera le temps qu’Aziz nous donnera pour affûter notre solution de rechange, celle que nous avons dans notre poche. Dans l’éventualité de la mort du micheton préféré de la prostituée dénommée Algérie, on remplacera un miché par un autre, et la fille de joie sera de nouveau comblée et continuera a amasser de l’oseille pour nous. Alors, c’est quoi cette solution ? Est-ce la création d’une vice-présidence via un amendement et un referendum constitutionnel qu’on va fourré dans le derrière de notre belle pute? Ou peut-être une autre élection présidentielle, une danse de séduction pour encore une fois convaincre notre vache- à-cash de continuer ses déhanchements? On ne sait pas encore. Mais la solution, On l’a. Hélas ! On sait trop bien ce qui se trame dans la tête des proxénètes de la belle Algérie. Une Chose est pourtant très sûr et très certaine est que ces proxénètes vont encore faire durer et perdurer le plaisir d’une période de haute instabilité pour au moins une autre année. Ils s’en foutent de la santé de notre fille de joie parce que comme tous les proxénètes, les maquereaux, et les souteneurs du monde, ils utilisent les asphalteuses, les croqueuses, et les putes comme de vulgaires vache-à-cash. Une fois, la fille de joie est trop vieille, ils lui donnent un bon coup de pied au cul, et allez oust dehors la pétasse! Algeria: Barakat, a cloud of suspicion. Is the movement truly democratic as it claims to be? A movement called Barakat (Enough in English) was born out of the first protests organized against Boutefika’s 4th candidacy. When i first heard of this movement, i was happy, but then went from curious to intrigued to completely dubious about the founding values upon which this movement is built. My criticism might be too harsh, but it is a necessary one for the betterment and the probable evolution of this movement toward real political change in Algeria. Upon a closer look and some research conducted on the Barakat Movement, (I even had a conversation with a member of this movement who described himself as a “founding member”), I have to say that I have become more worried about the overall ideology and tone of this movement than I initially was. And here, in this piece, I list a few points and questions that Barakat must answer and elucidate for the sake of the movement itself, and the sake of its success. First, let me say that any movement that revives the concept of citizenship and reanimates a moribund and dormant Algerian civil society is agreeable news that must be welcomed by all Algerians, personal ideology and views notwithstanding. Second, Barakat as a movement is structured in a horizontal way—i.e., it claims that it has no leadership per se, but it has some sort of a collegial direction whose members are so far not known to the public. In the history of successful social movements, having a structural organization and unified and clear leadership that frames the movement’s ideas and narratives in an efficient and specific manner is a serious variable in the success of the movement. To cite only a few examples: the American Civil Rights movement and the Christian Southern Leadership Council (CSLC) whose first president and leader was Dr. Martin Luther King; South Africa’s African National Council (ANC) and Nelson Mandela was one of its leaders; the Women’s Suffrage Movement and National Women Suffrage Association (NWSA) whose leader was Susan B. Anthony, etc. We can keep on listing numerous successful social and political movements like these, and quickly a pattern would emerge: all these movements had solid organizational structures; all these movements had a clear leadership, all these movements had a clear narratives that framed their grievances; and all these movements had enough resources to be able to advance and articulate their grievances, and mobilize people around them. On the other hands, unsuccessful or short-lived social and political movements had a very obvious flaw: a lack of an organizational structure and leadership to clearly articulate and frame the movement’s visions and narratives. The most recent example is Occupy Wall Street (OWS). It’s an unorganized leaderless movement that was established on a very powerful, and at that time, popular frame and narrative–i.e., the 2008 financial crisis–which was neither successful in broadcasting its grievances nor was it successful in impacting policymaking or bring about change in the financial structures of Wall Street. The lack of organization and an amorphous and nebulous leadership failed to mobilize tangible and intangible resources, which pretty much led the movement to its downfall. By extension, Barakat’s organization or the lack thereof could very much harm the movement and negatively impact its success. However, the aforementioned observations, though important, are not the troubling aspects this movement. Barakat seems to echo a disturbing current of thought that was popular in the mid-1990s. This current is called “le courant ou la mouvance des eradicateurs.” (the eradicators or exterminators in English). Briefly stated, this current was (and still is) a proponent of the total physical elimination of all Islamists or the Islamist movement in Algeria. Their conception of Algerian political arena is that there is no room or place on the ideological spectrum for an Islamist party and/or ideology. It is also important to note that the eradicateurs’ doctrine was established, sponsored, and nurtured by an extreme wing of the Algerian military institution. One of the most famous eradicateurs was the Army General Mohamed Lamari. In the name of the eradicateurs doctrine, several crimes against humanity and egregious human rights violations were not only justified, but also perpetrated in all impunity. This doctrine had also several fervent supporters among the Algerian civil society and political class such as Redha Malek, a former Prime Minister, Mohamed Sifaoui, a famous pamphleteer and blogger, and Mustapha Benfodil, a poet, author and journalist, to cite only a few. These politicians, journalists, and members of civil society supported passively and actively the eradication of an entire political movement and class in Algeria. For the proponents of this doctrine, it is not enough to eradicate Islamic terrorism, which is legally, logically and rationally justified and supported, but this doctrine goes further and steps into the ideological realm and calls for the eradication of Islamism as a political doctrine well anchored into the Algerian society. More importantly, the eradication of political Islam (or Islamism) is not done through vigorous debates of ideas where Islamism is defeated at the intellectual level and by extension in the political arena. Not only is this approach acceptable, but it is also advisable and should be encouraged. The eradicateurs advocate the simple ban and the exclusion of Islamism from politics in Algeria, and here lies the heart of the problem and the contradiction with fundamental and crucial democratic values. First, banning an idea has never succeeded or worked. The banning of an idea has always given more credence and more echoes to that idea than it deserves. Second, if we start by banning or outlawing idea, then we quickly need to start building large concentration camps for all those who subscribe to that idea. This slippery slope is dangerously slick and leads, as history tells us, to inhuman outcomes. Third and most importantly, the doctrine of the eradicateurs is antithetical to the seeds of democracy. If democracy is as a concept, in many ways, the celebration of freedoms and freethinking, eradicating an idea or banning a whole class of people because they just happen to thinking differently than you and me is not only the negation of that very freedom upon which the house of democracy is built, but it is also a democratic abomination and an anathema. Democracy is built on freedom and freedom produces ideas, doctrines, and factions. We can’t agree with all the ideas or doctrines that are produced because of the freedoms bestowed upon a society through democracy. Some ideas will even be so extreme that they violent our intellectual being. But banning those ideas or doctrines or factions is analogous to banning democracy itself. “By a faction, I understand a number of citizens, whether amounting to a majority or a minority of the whole, who are united and actuated by some common impulse of passion, or of interest, adversed to the rights of other citizens, or to the permanent and aggregate interests of the community. James Madison tells us that the only way to eliminate a faction—a nefarious faction representing the majority or the minority of the citizens—whose interest is antagonistic to the rights of other citizens is by having more factions, not less; it is by building a large republican form of government based on a representative democracy where the freedom of ideas is the currency. For Madison, in a pure democracy (reads, direct democracy), a majority can easily control the minority faction, but the tyranny of the majority can overwhelm the rights of the minority. He tells us in order to neutralize and control the evils of factions, we need to set the foundation of a political system that is based on the protection of the minority and their rights—i.e., an antimajoritarian system. Moreover, in Federalist No. 51, Madison tells us that a republic vested with enough powers to control the governed, and the governed vested with enough powers to check the government is the only way to preserve liberties and freedoms, and guard against tyranny. Question: j’espere que vous n’allez pas commencer pas avoir une attitude d’exclusion envers d’autre mouvances/courants politiques? Question: Vous carburez a l’émotional! Mr. Sidali Kouidri Filali very narrow understanding of democracy clearly exhibits authoritarian tendencies. His argument can be summarized as follows: in the name of democracy I need to be undemocratic with someone like Ali Belhaj. But this begs the question: If we are undemocratic with someone like Ali Belhaj, then what democracy is good for? Do we just behave democratically only with likeminded people and then put our Hitler hat on and become tyrants when we are confronted with ideas that violates our core beliefs? Can we sacrifice the rights and freedoms of someone like Ali Belhaj just because he repulses us? Let me extrapolate a little: What’s the difference between Ali Belhaj and Mr. Sidali Kouidri Filali? Both of them seem to be keen at eliminating each other’s democratic rights, and sacrificing each other’s freedoms if they have power. And if we start thinking this way, that there are deserving people in a democracy whose rights need to be protected and other not so deserving, where do we stop? Should we set a system that every time we don’t agree with someone we just press a button and his democratic rights disappear? What if one day, you don’t agree with me, what guarantees do i have that my rights and freedoms will not be taken away? In fact, Mr. Sidali Kouidri Filali and Ali Belhaj are not that different. Both are exclusionists, and both have forgotten that democracy is very inclusive. In conclusion, democratic behavior and the belief in democratic principles and ideals are ultimately tested when those ideals and principles are threatened. Only during those moments, when our deep and cherished convictions are put to the test and are challenged that our true democratic self is revealed. The rights and the freedoms of the vilest person in the society are as important as the rights and freedoms of the most valuable person in the society. If we are too quick to dismiss of the rights of a vile person, like Ali Belhaj for instance, we would be too quick to dismiss of the rights and freedoms of another person with whom we just do not agree. And that is the beginning of the end of democracy. In sum, i am aware that i have leveled harsh criticism and serious charges against the Barakat Movement. It is up to the movement’s leaders to answer these charges, otherwise this movement, in my opinion, is nothing more than Egypt’s Tamarod Mouvement without the Egyptian eloquence and the Saudi funding. Subscribe to this Blog/Abonnez-vous à ce blog. Algérie: Bouteflika, l’impossible candidature. Un probable désistement?! Tunisia: Tunisia doesn’t have to follow in Egypt’s steps. Egypt: Debunking the Egyptian Military Narrative of Popular Uprising. How many Egyptians did really protest Morsi on the June 30th protests?